Yum! 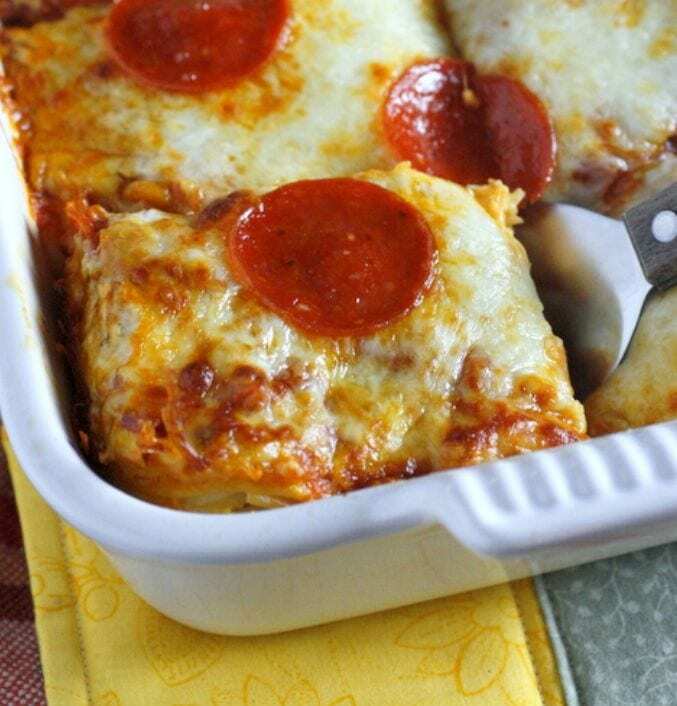 This casserole will make everyone happy! Pizza and pasta are a marriage made in heaven. The Italian-inspired flavors in both dishes — including rich cheese and tangy tomatoes — were destined to work together harmoniously. And they do in this “spaghizza” casserole. At What Megan’s Making, Megan makes a spaghetti bake that includes spaghetti sauce, oregano, pepperoni, mozzarella cheese and garlic. 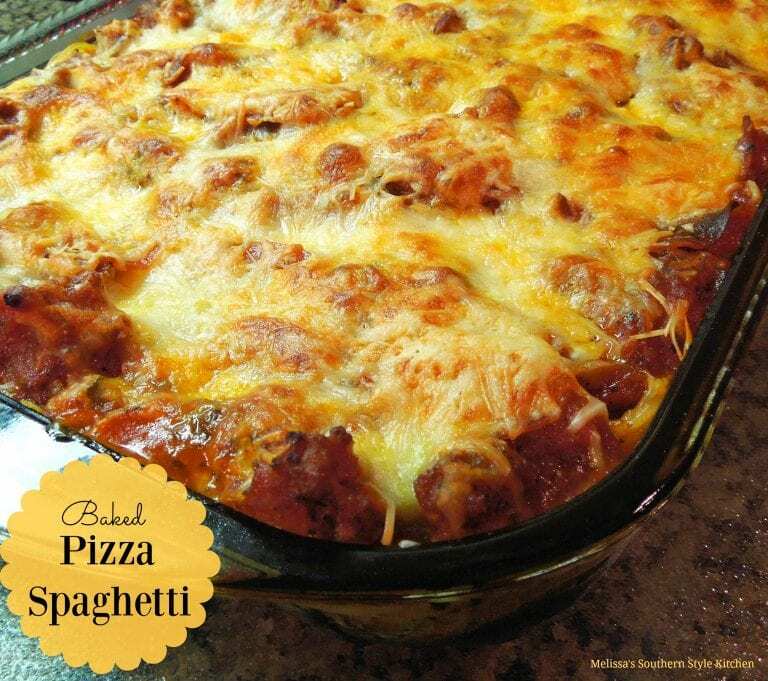 The result is a casserole that looks like spaghetti but tastes like pizza. Land O’Lakes uses broken spaghetti in their recipe, and they say there’s no need to boil your noodles before putting them in the oven to bake. Their version includes bell pepper, onion, sausage and pepperoni — and, of course, plenty of cheese. 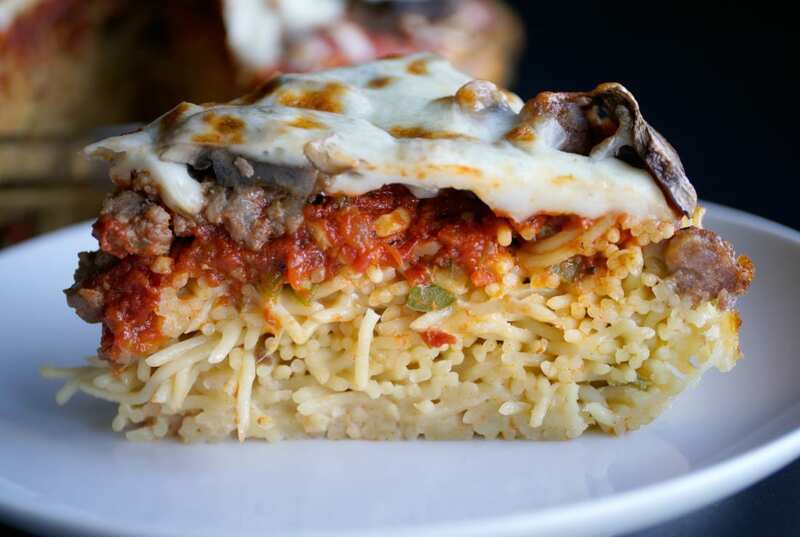 At Melissa’s Southern Style Kitchen, she makes her baked pizza spaghetti with a homemade sauce that includes mushrooms, beef, sausage and bell pepper. Worcestershire sauce and red pepper flakes up the flavor, elevating this dish from a kid’s favorite to something even picky adults will enjoy. Have deep dish lovers in your house? No problem. You can make your “spaghizza” into a Chicago-style pizza pie. Joanie Simon accomplishes this by first baking a “crust” for her pizza. The crust is made from spaghetti noodles, along with half of the pizza toppings, such as sausage and mushrooms. After baking this crust for 30 minutes, she takes it out of the oven and puts on the rest of the toppings, including cheese and more sauce. It then bakes just a little bit longer until the top becomes bubbly. The trick to this recipe is not just the pre-baking of the pizza “crust.” The key is that the noodles are held together with binding ingredients like eggs, so your spaghetti won’t fall apart all over your plate and just turn into a regular, boring bowl of pasta. Talk about comfort food. 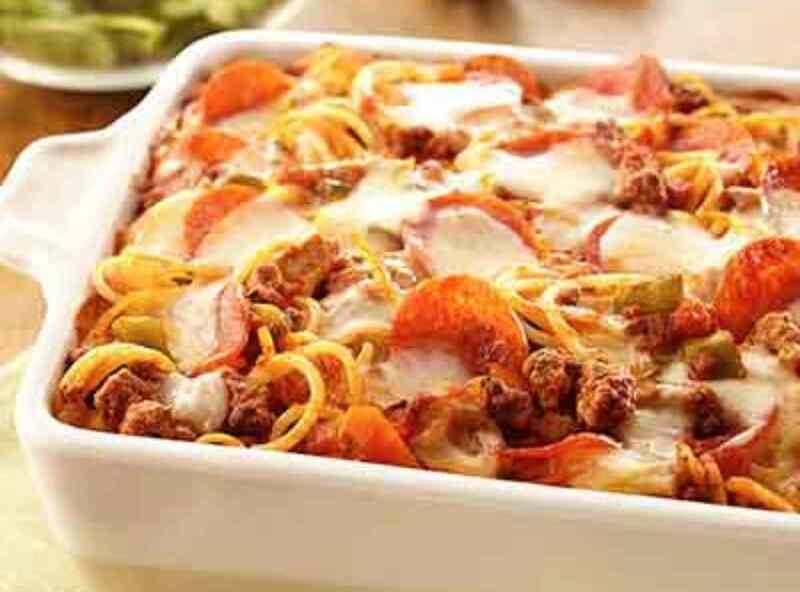 This baked spaghetti pizza pie is sure to chase away the winter blues and satisfy your pizza AND pasta cravings.